GEMA-freie Musik für Deine Marke, Kampagne oder Filmprojekt. 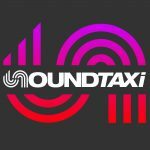 Ab sofort könnt ihr auf der Plattform „Soundtaxi“ exklusiv Musik von mir für eure Projekte lizensieren. Soundtaxi stellt als Production Music Library seit einigen Jahren hochwertige Sounds für TV, Werbung, Imagefilme, Kino, Radio, Podcasts, Games, Internet und audiovisuelle Medien bereit. Royalty free music for your brand, campaign or movie project. From now on, you can license music of me for your projects on the platform „Soundtaxi“. As a Production Music Library, Soundtaxi has been providing high-quality sound for TV, commercials, image films, cinema, radio, podcasts, games, the Internet and audiovisual media for several years now.